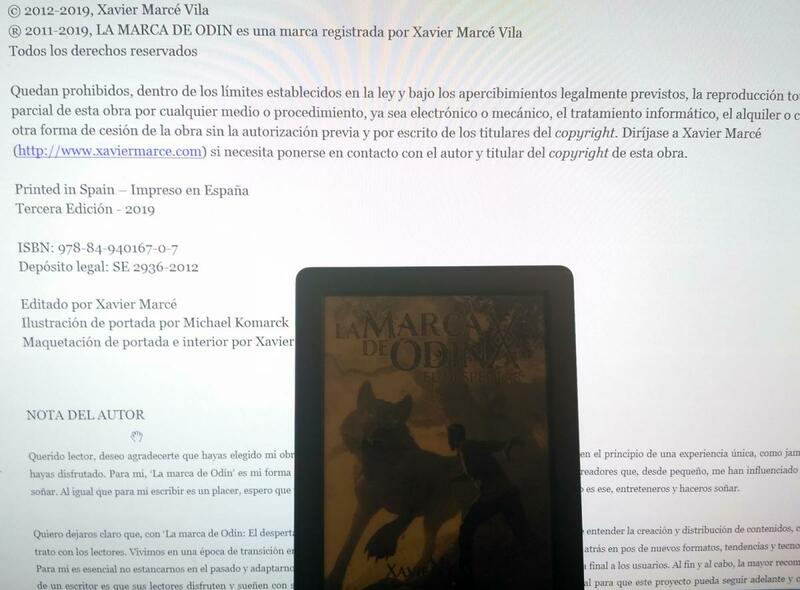 The Mark of Odin team is honored to announce that the Spanish Third Edition in digital for Mark of Odin: The Awakening is already available in our site and in external digital platforms: Amazon Kindle, Google Play Books, iBooks, Kobo and Lektu. In this Third Edition, from March 2019, we have not only fixed mistakes or issues of the Spanish edition but added new features to ensure that readers are aware of the second book and their options to continue their adventure in our saga. In that regard we have released a new English edition too with features to join our Discord Community and have direct links and information to get the paperback edition of Mark of Odin: The Awakening and join our #MarkedbyOdin community purchasing the Online Pass. It's already available in the digital platforms and in our site. "This Third Edition means the biggest review process since we released the book in Spain back in July 2012!" Author Xavier Marcé stated. "I know you all had to wait but we have applied many lessons that we have learned across the years to improve the reading experience and make eassier to join our #MarkedbyOdin community from all free readers." The paperback version of the Third Edition is coming soon and we are already working in the review process of the second edition in Spanish for Mark of Odin: Road to Valhalla. We hope to announce it soon!